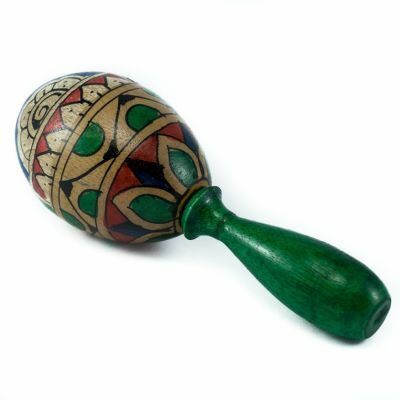 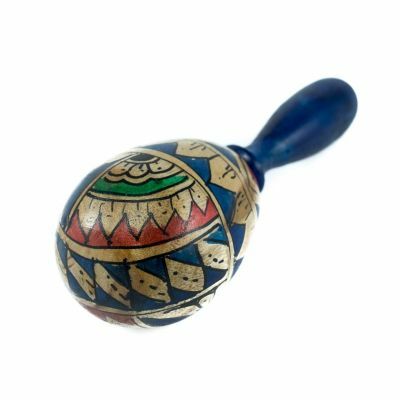 Hand-painted wooden egg shaker. 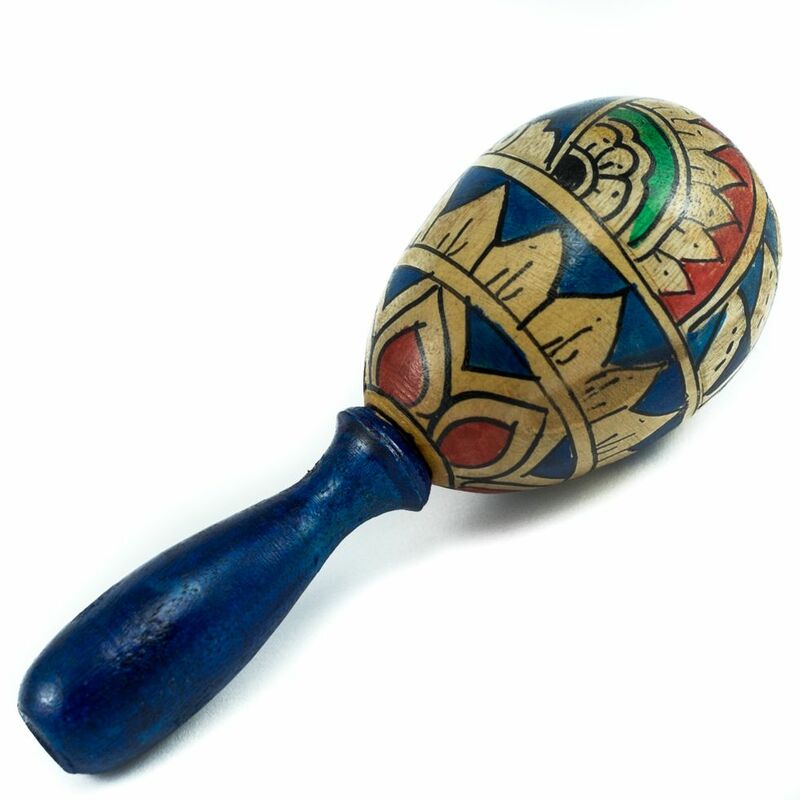 Length (including the handle): 13 cm. Made in Indonesia.